The human person is made for truth. Synoptic means 'seen from the same eye'. Passover is the context for John 6.
Who says that Jesus holds Himself in His own hands? Scriptures should not be used in order to help us understand other parts of Scripture. The manna is fulfilled in the Eucharist. 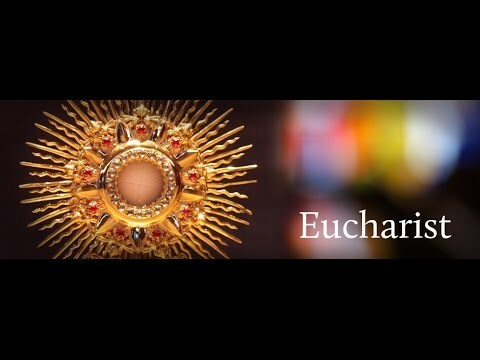 The Eucharist as a symbol is greater than the manna in the Old Testament. Jesus gains many followers after His first introduction to the teaching on the Eucharist. The 'flesh' in Jn 6.63-66 is a reference to fallen human understanding. The Church Fathers believed that the Eucharist was only a symbol. St. Paul teaches that a person can be guilty of profaning the body and blood of the Lord. How many different ways can you enter 'Truth Still Matters'?